Leading Serbian law enforcement officials announced a new system of video-surveillance in Belgrade, the nation’s capital, which would be highly intrusive for citizens. It was revealed that the main partner of the Government of Serbia was Huawei, the Chinese tech giant recently involved in several scandals. In pursuit for transparency of deploying such privacy-invasive technology, SHARE Foundation submitted Freedom of Information (FOI) requests to the Ministry of Interior. However, the Ministry responded that all documents regarding the public procurement of video surveillance equipment in Belgrade were protected as ‘Confidential’. The information about the new facial and vehicle license plate recognition system was not provided either. Earlier this year, the Serbian Minister of Interior and the Police Director announced that in the next two years, 1.000 new generation cameras using facial and license plate recognition software will be installed in 800 locations in Belgrade. 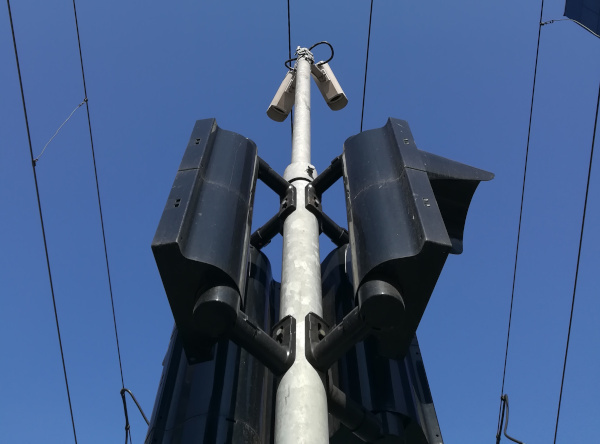 Minister of Interior Nebojša Stefanović made a statement for Fonet news agency and said that ‘patrol cars and police officers in the street will gradually become equipped with these cameras’, while the network of cameras will then spread to both the highway and regional roads. Police Director Vladimir Rebić made an appearance on Radio-Television of Serbia and stated that the ‘establishing the functionality of face recognition is in its final stage’, and that the locations intended for stationary cameras were already determined based on ‘a broad examination and analysis of events, referring primarily to the criminal offences in Belgrade’. Based on the Law on Free Access to Information of Public Importance, SHARE Foundation, requested the information on locations of the cameras, including the analysis based on which these locations were determined, and details on the public procurement and relevant procedures. The official responses of the Ministry stated that all the documents regarding the public procurement of the video equipment are protected as ‘confidential’, and the information on locations and analysis were not provided in any document or any medium, which is the legal precondition to exercise the access to the public importance information. SHARE Foundation requested a copy of the data protection impact assessment (DPIA), and the Ministry responded that the new Law on Personal Data Protection is not being applied yet, and explained that registry and processing of personal data contained in the video surveillance were regulated by the Law on Registry and Processing of Data in Interior Affairs. Considering the fact that the responses of a FOI officer of the Ministry were in direct contrast to the statements made by the Minister and the Police Director, this ambiguity must be clarified without any further delay, keeping in mind that this is a fundamental question of human rights and civil freedoms guaranteed by law and the Constitution of Serbia. SHARE Foundation also requested information on the public procurement of equipment and software to be used for video surveillance. The response of the Ministry was that they began discussing possibilities and improvements of information and telecommunications system with Chinese company Huawei in 2011, and that they drafted the decision regarding the increase of general security of citizens within the project titled ‘Safe Society’. This project falls under the Agreement on Economic and Technical Cooperation Regarding Infrastructure between the governments of Serbia and China, previously signed in Beijing in 2009. Furthermore, the Ministry stated that in 2014 they signed the Memorandum of Understanding with Huawei, referring to necessary steps for the implementation of the above-mentioned project. Based on the Agreement and the Memorandum, in 2017, the Ministry and Huawei signed the Agreement on Strategic Partnership for Introducing eLTE technologies and solutions for a ‘safe city’ in public security systems. The Government of the Republic of Serbia signed this Agreement so that the Ministry of Interior took over the obligations stipulated in the Agreement regarding expenses and procurement of the video surveillance system based on the capital project ‘Video surveillance in traffic – phase II’. Serbia adopted a new Law on Personal Data Protection which mostly follows the new standards of European regulations in this field, i.e. GDPR, but at the same time, it does not provide for instruments and mechanisms for the better implementation of the Law. Also, so far there have been no steps taken in terms of drafting a law regulating video surveillance in public space. Software used for identification is the latest technological achievement which gravely violates rights and freedoms of citizens and is an important topic of public discussions in democratic societies. Chinese company Huawei has been accused on several occasions over the past few years by USA and some European countries of industrial and political espionage in cooperation with Chinese authorities. In the upcoming months, it is necessary to determine which equipment for video surveillance has been purchased, where and how the personal data will be processed as well as whether the personal data protection impact assessment has been carried out adequately.